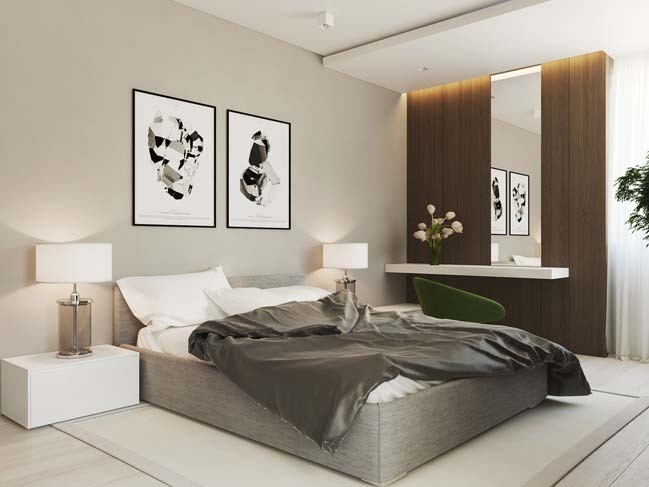 Located in Moscow, Russia. 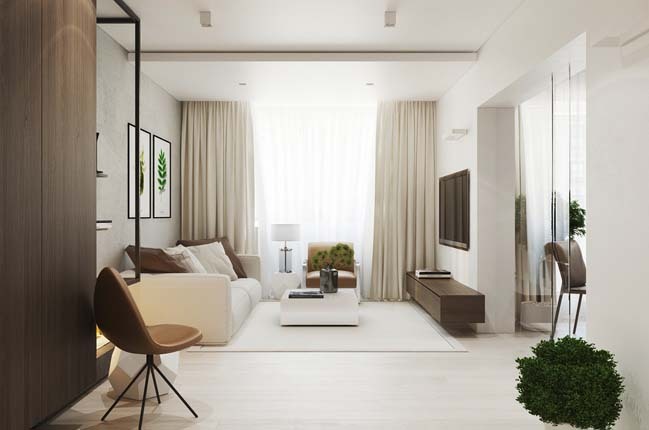 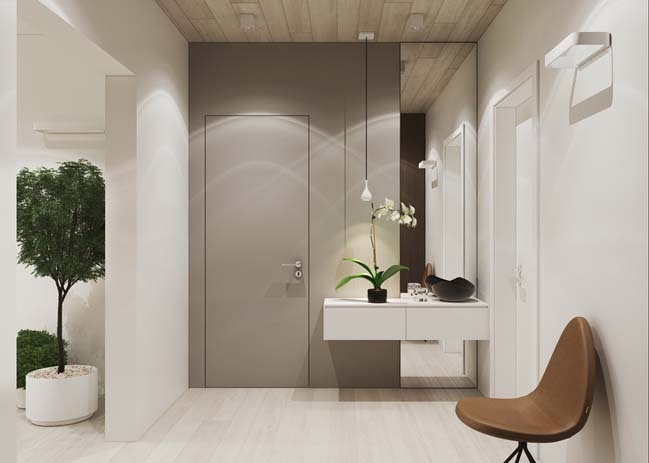 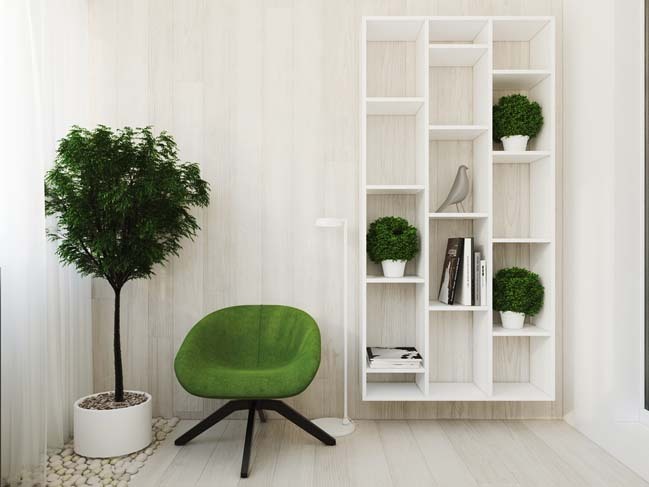 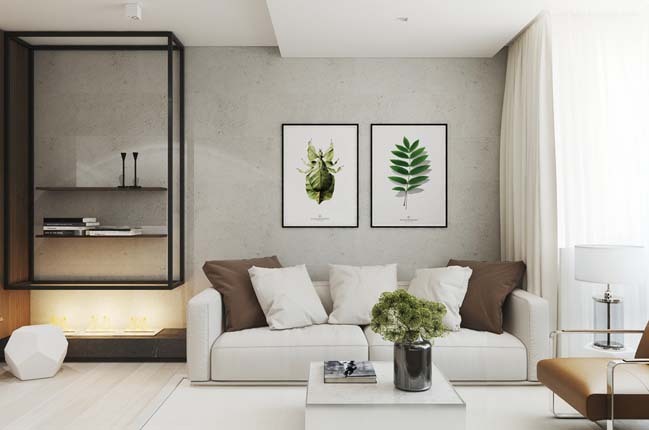 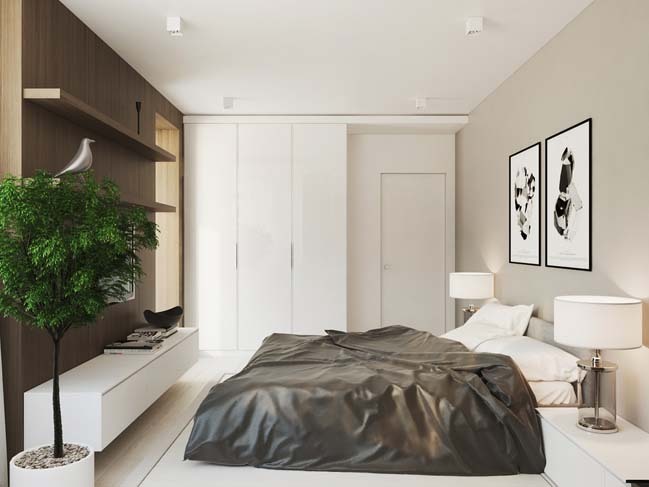 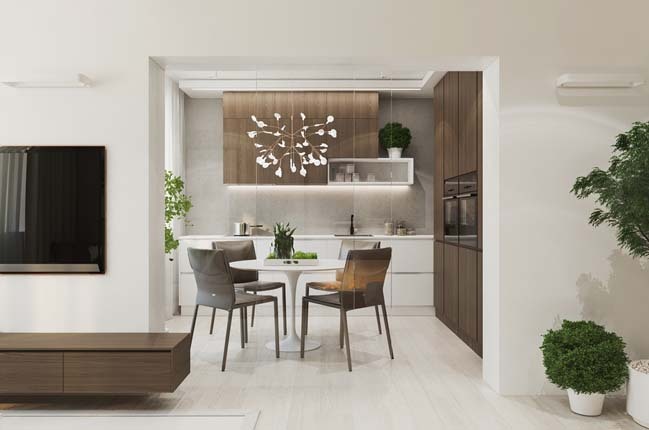 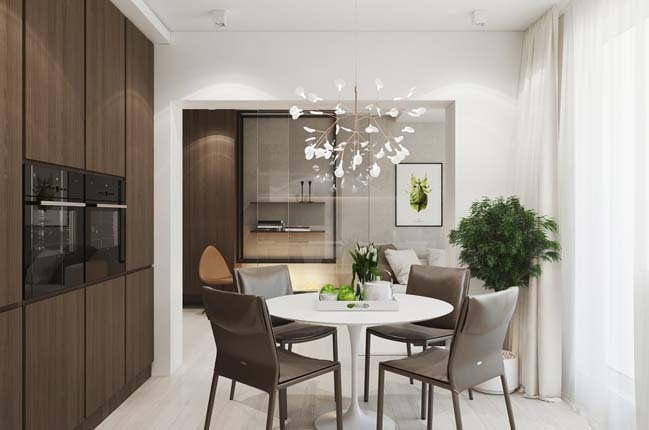 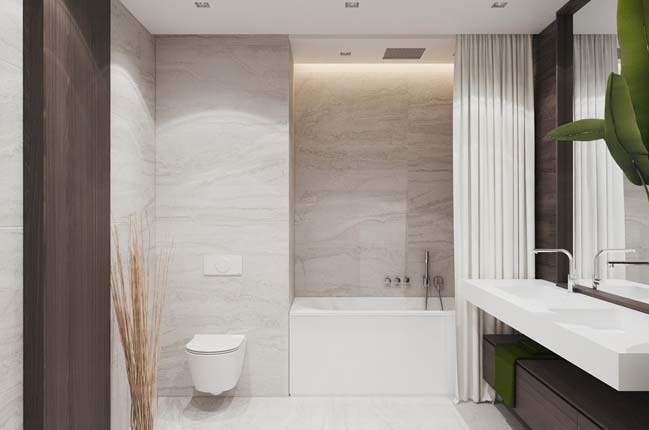 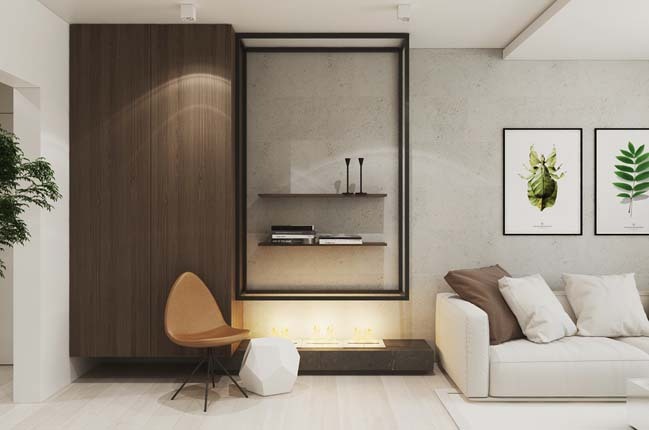 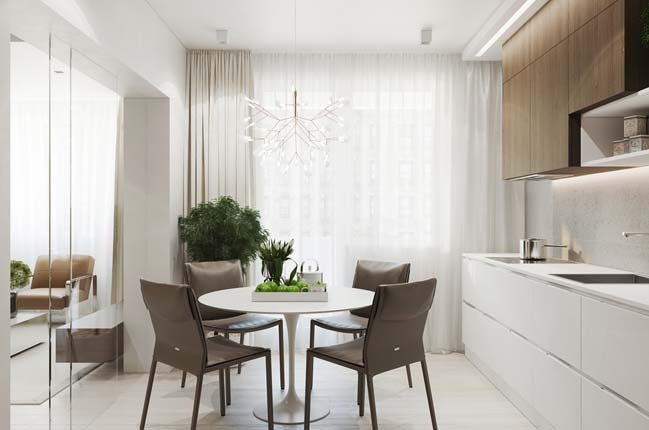 This modern apartment has area of 70 sqm with a sophisticated interior design in white main tones along with highlight accents of dark brown colour of furnitures and green from planters in order to make the space more vitality. 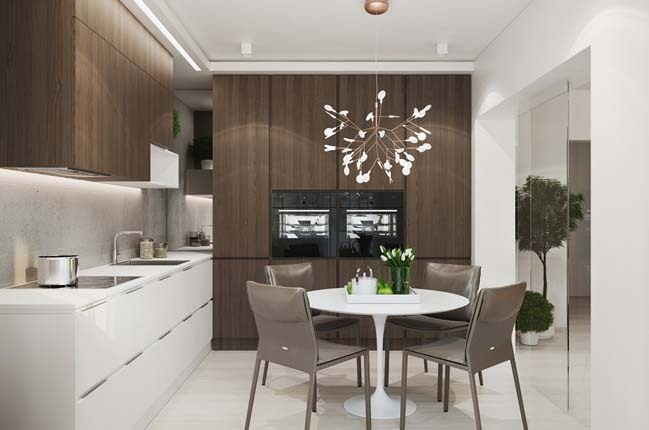 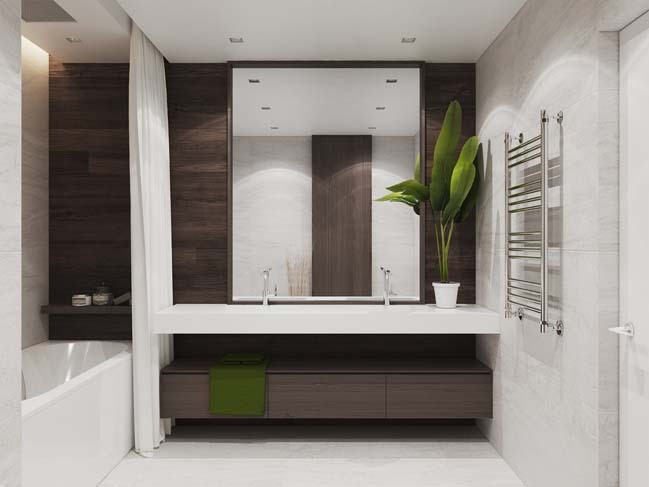 And this is not a random choice of 2 colours brown and green that the designers has chosen deliberately to create a feeling of closeness to nature.